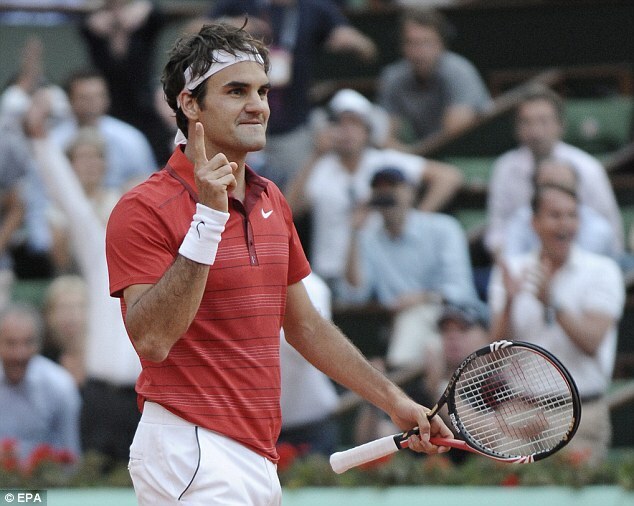 Lefty Advantage: French Open: Three Horse Race? Just around the corner of the French Open, it is logical to say that one of three men will walk away with the trophy on the final Sunday - Rafael Nadal, Roger Federer, or Novak Djokovic. All three men have been in good form and this year is one of the most even in terms of pre-tournament favourites for a very long time (perhaps 2005). When you look at the numbers on the year thus far, it is fairly even. Roger Federer has 4 titles (Rotterdam, Dubai, Indian Wells and Madrid), Rafael Nadal has 3 titles (Monte Carlo, Barcelona, and Rome), and Novak Djokovic has 2 titles (Australian Open and Miami). All three players have only failed to make the semifinals of a tournament once (Federer in Miami, Djokovic and Nadal in Madrid). Nadal is 33-4, Federer is 31-4 (31-3 without DC), and Djokovic is 30-5. Since Nadal is the King of Clay and has won the French Open six times, he is definitely the favourite. He also seems to be back to his very best with a great clay season, winning three of four events he played. Unlike last year, when there may have been a seed of doubt that he would win the French Open, all that has been erased in 2012. Roger Federer has been in great form for the past 8 months, winning 7 of 11 tournaments entered dating back to the US Open. His play in 2012 has brought back memories of the days of dominance from 2004-2007. He has won 8 of his 9 clay matches coming into the French Open, and picked up his first clay title (on blue clay, no less) in 3 years. His mental strength has also been top notch, rivaling the old days when he came through tough matches time and time again. 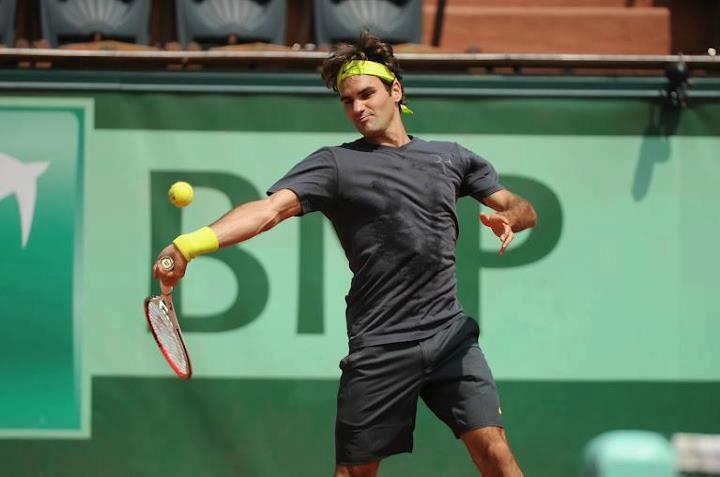 Federer looked good in his first practice at Roland Garros! Novak Djokovic, not surprisingly, has not had the same year in 2012 that he had in 2011. It has not been bad by any means, as he has won two titles, one a Slam, and made another two finals, both losses to Nadal. But the invincibility he possessed seems to be gone, at least for the time being. He suffered disappointing losses to Murray, Isner, Tipsarevic, and Nadal (in Rome, he was obviously going through emotional turmoil in Monte Carlo after his grandfather passed away). He is still a formidable force however, don't get me wrong. He will have plenty of motivation to win the French Open, for it would be his 4th straight Slam, the "Nole Slam." Nadal, Federer, and Djokovic are all confident heading into Roland Garros this year. A betting man would probably be crazy to pick anyone other than them. Of course, you have your Ferrers, del Potros, Murrays, Tsongas, and Berdychs that may pose a challenge in the later stages of the tournament, but with the way the top three are playing, I wouldn't count on anything but one of Rafa, Roger, or Novak standing with the trophy in Paris on that fateful final day. The draw will play a big part in Federer's chances, surely. If he is drawn in Djokovic's half, he will have another great chance to make the final. It will be more difficult if he lands on Rafa's side. Murray will doubtfully pose any kind of threat with his poor play recently, and adding to that, he has a back injury which he says has bothered him all year. Whatever may happen, it should be a wonderful tournament and I only hope that we get to see some good tennis and that the draws are made evenly. (No Nadal getting three Spaniards in a row.) Without a doubt, Rafa must be looked at as the favourite, but with Roger's great form, and the unpredictability of tennis, you just never know. A hot player could run into Rafa and eliminate him like Soderling did in 2009. The draw could make things very difficult for the top guys and pose a real threat before they even make the semifinals. Enjoy the French Open 2012, and may we be blessed with some stellar matches and fine play from all the top players. There are countless potential matches that could set up enticing battles, but at the end of the day, the three men to beat are still the top 3, Djokovic, Nadal, and Federer. Until a proven foe steps up and challenges their supremacy, I see it being no other way.